Ghanaian beauty Queen Yvonne Nelson has finally unveiled the face of her beautiful daughter. The mother and daughter made their first magazine appearance on the cover of Agoo Magazine latest edition. The actress who insists getting pregnant out of wedlock is a blessing thanks God for answering her prayers. 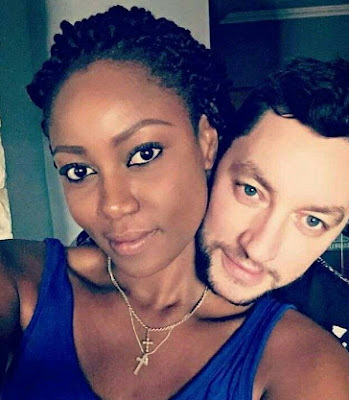 Her baby daddy, Jamie Roberts now lives with her in Accra Ghana. ENJOY YOURSELF , AND LIVE YOUR LIFE YOUR WAY. MARRIAGE IS NO MORE A YARDSTICK, YOU DO NOT HAVE TO MARRY BEFORE YOU ARE HAPPY.